Find quickly what you look for and get continuous suggestions to discover unexpected results. 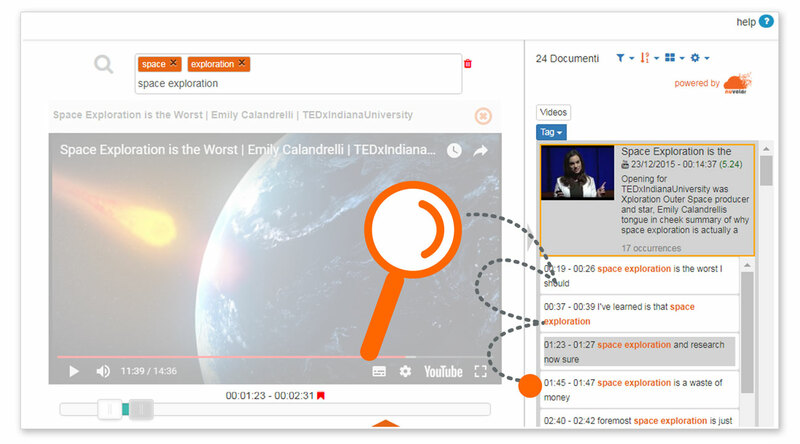 Through our multi-media full text search, you will enjoy a seamless browsing experience on both video and documents. 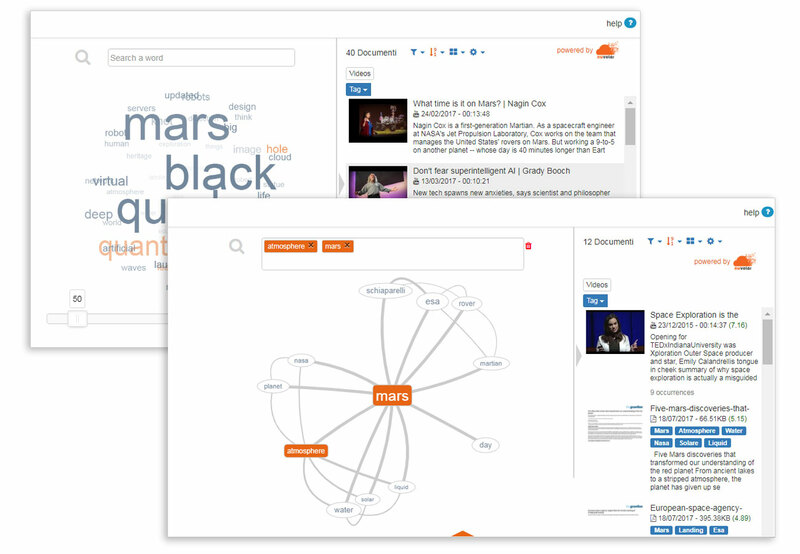 Through our interactive tag clouds, you will gather the most significant and related contents in a few clicks. Search the multi-media contents jumping to the most significant segments. 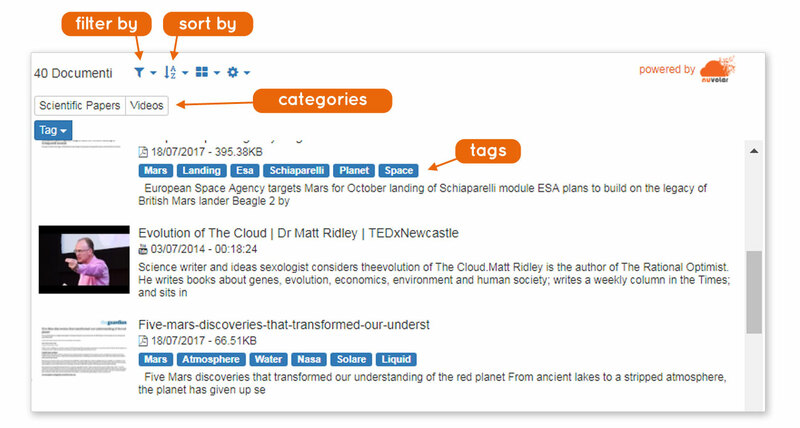 Keep your researches simple and faster through our tags, relevance sortings and categories filters.